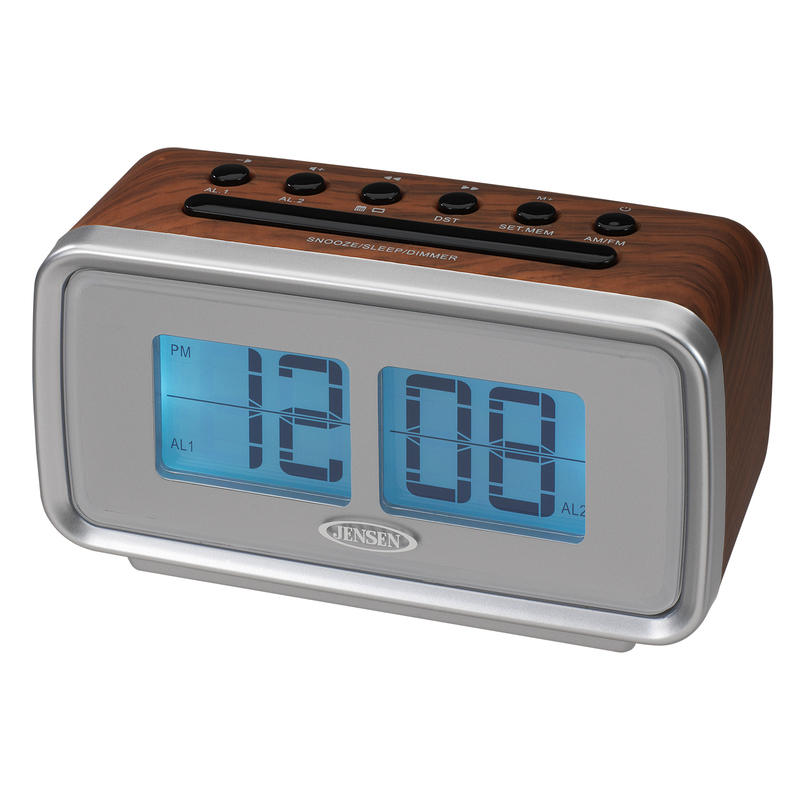 JENSEN® brings back the timeless flip clock design in digital form. 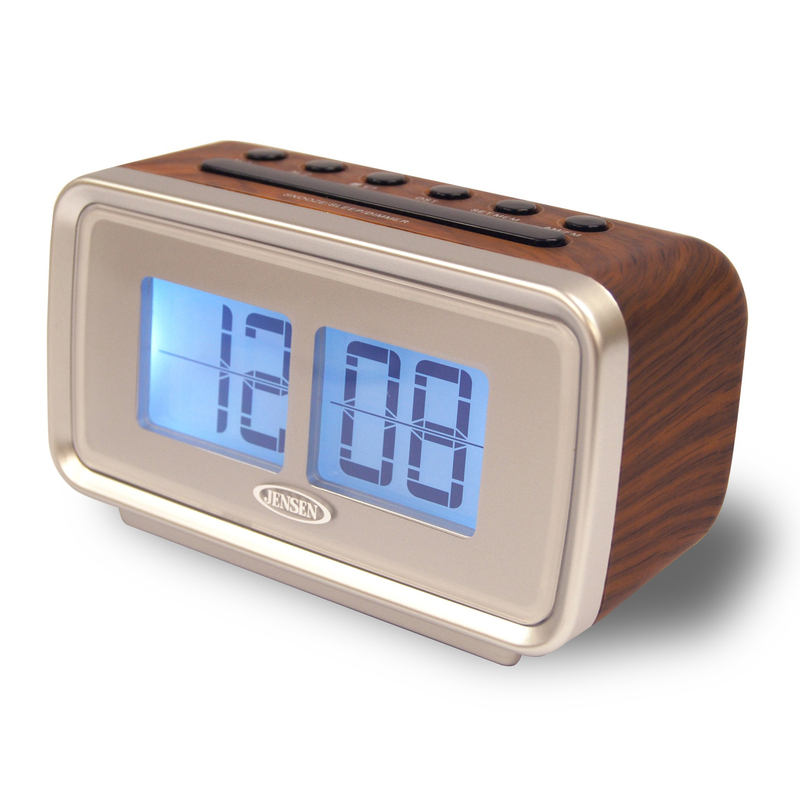 The JCR-232 is a stylish, compact alarm clock with a 1” digital LCD display that mimics the retro flip display made popular in the 60’s and 70’s. This unit is perfect for any nightstand, and will also look great anywhere in the home with its clean and attractive design. 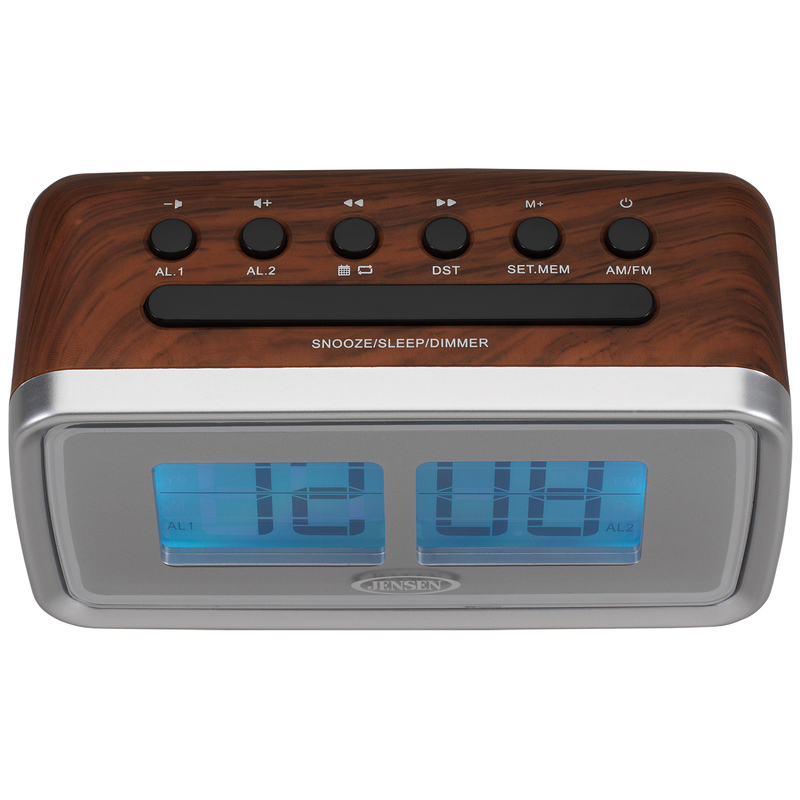 The JCR-232 features a back-lit display with dimmer control, a digital AM/FM tuner, dual alarms, sleep, snooze, and calendar feature. 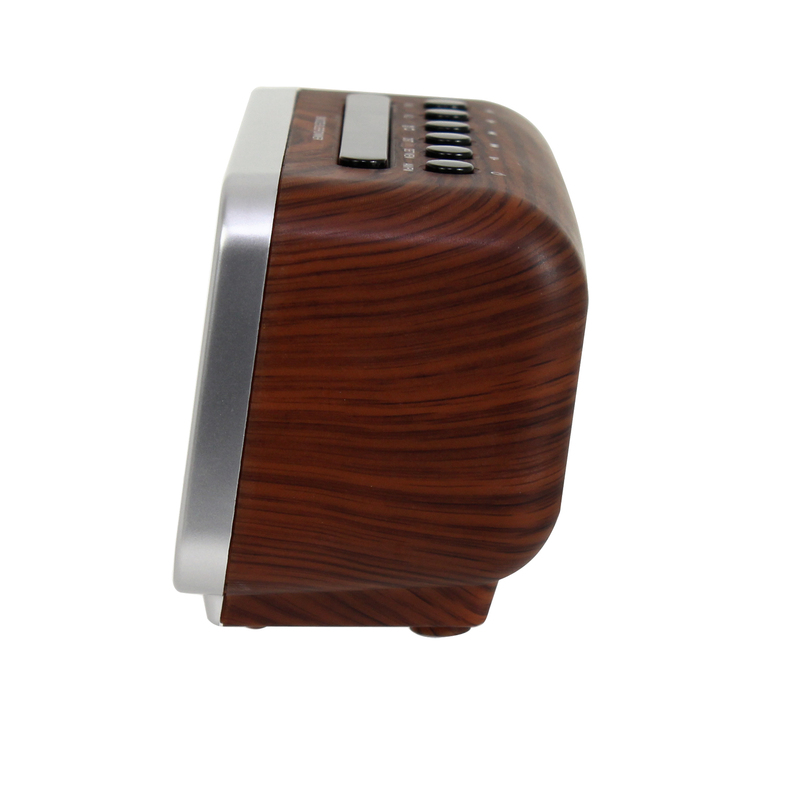 It also includes battery backup (batteries not included) and operates on 120V AC power. Enjoy a modern take on nostalgia with this one of a kind retro "flip" display clock radio.